Kumasi Asante Kotoko has called on their supporters to storm the Baba Yara Sports Stadium on Wednesday, April 7, 2019, when they face off with Obuasi Ashanti Gold on matchday 4 of the Normalization Committee (NC) Special Competition. The two teams have been the best as far as tier 2 of the Special Competition is concerned. Kotoko sits on top of the table with 6 points after 3 matches whiles Ashgold is second with 5 points after playing the same number of matches. 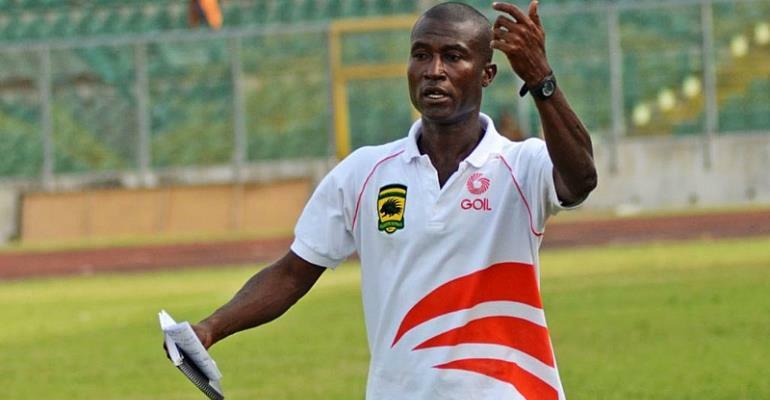 Speaking at a post-match interview following Kotoko’s 3-0 win over Techiman Eleven Wonders yesterday, assistant head coach Akakpo Patron appealed to fans of the club to troop to the stadium on Wednesday to cheer the team to victory when they host the Miners. “Now that we have finished this we just have to see to it that we go back and start the preparations towards the Wednesday game. With this convincing win, our hope is on Wednesday, we need our fans to come and rally behind us which is very important”, he said. The gaffer continued “We need the supporters to come a lot because this is a game that the supporters have to come and fill the park to help us win on Wednesday”. The Ashanti derby has been set up nicely and promises to showcase entertaining football on top of a high-intensity display from both teams. Kick off time for the match is at 3:00pm.